Venus flytrap; photo by yum9me on Flickr (noncommercial use permitted with attribution / no derivative works). 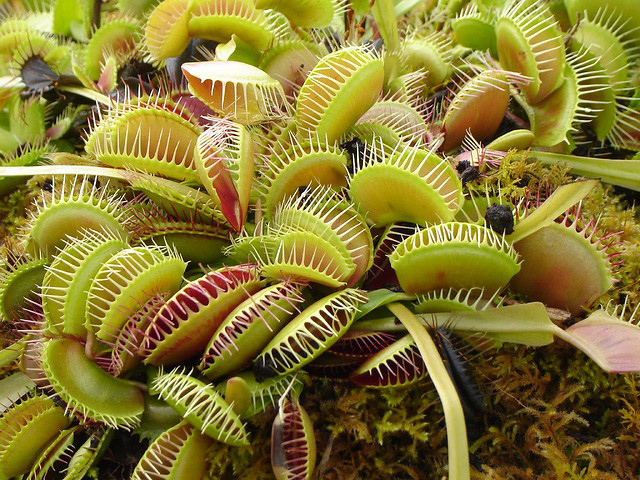 North Carolina designated the Venus flytrap (Dionaea muscipula) as the official state carnivorous plant in 2005. Though the Venus flytrap is cultivated throughout the world, it is native to only a small area of the coastal plain in North and South Carolina (for the most part within a 75-mile radius around Wilmington). 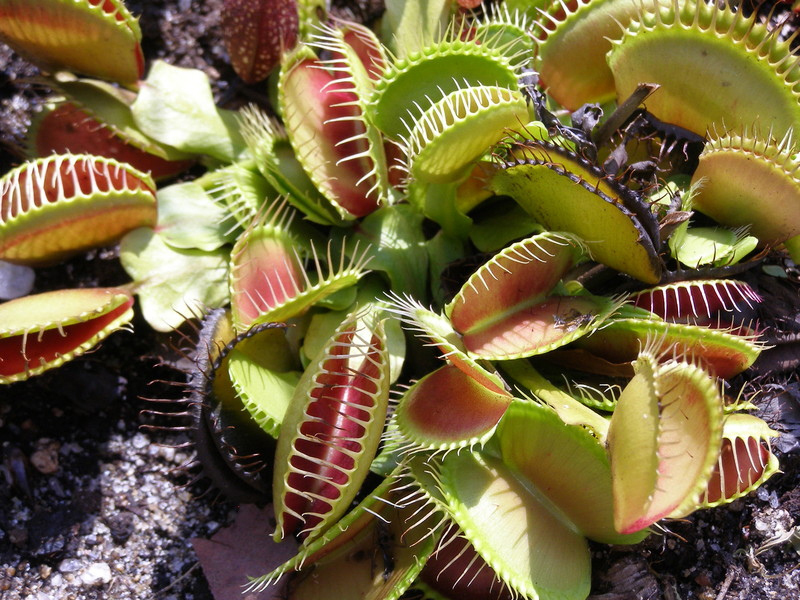 The Venus flytrap faces a high risk of extinction in the wild. It's listed as Vulnerable on the Red List from the International Union for Conservation of Nature and Natural Resources (IUCN). The trap is activated when an insect (or other object) brushes 2 or more times against bristles that grow on the surface of the leaf. The trap springs nearly shut in less than a second (it doesn't close completely until it determines - either chemically or through movement - whether it's caught a meal). If the plant determines that it has caught worthwhile food, the trap gradually seals completely shut, allowing digestion to take place. It reopens in 3 days to 2 weeks. Venus Flytrap; carnivorous plant Photo by mystuart/Flickr (noncommercial use permitted with attribution/no derivative works). 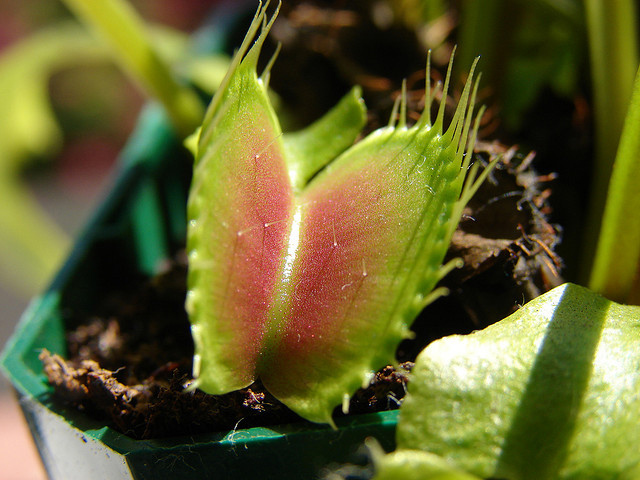 Venus flytrap plants; photo by Jehane (seq) on Flickr (noncommercial use permitted with attribution / no derivative works).